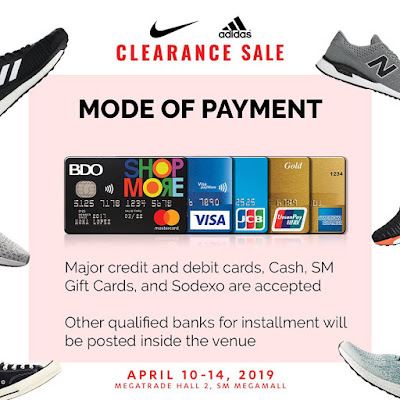 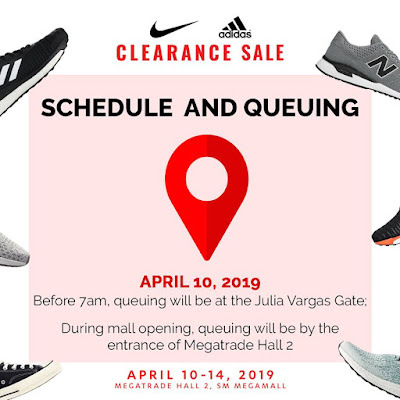 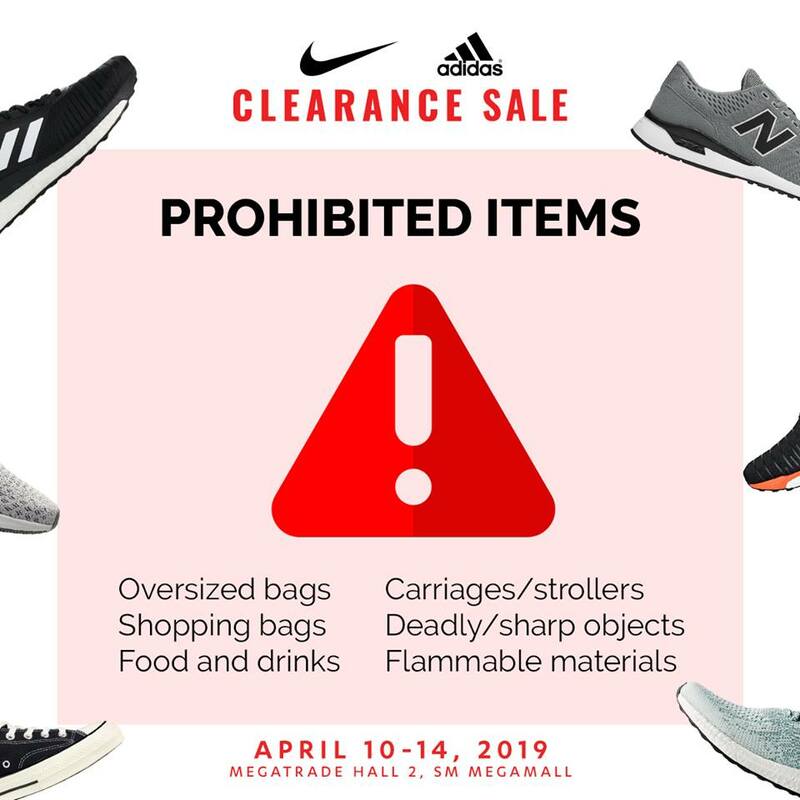 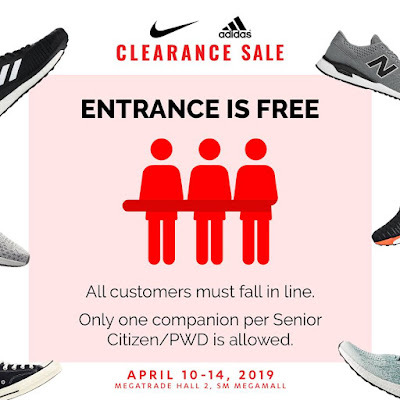 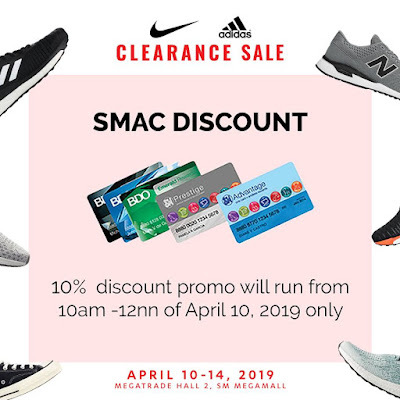 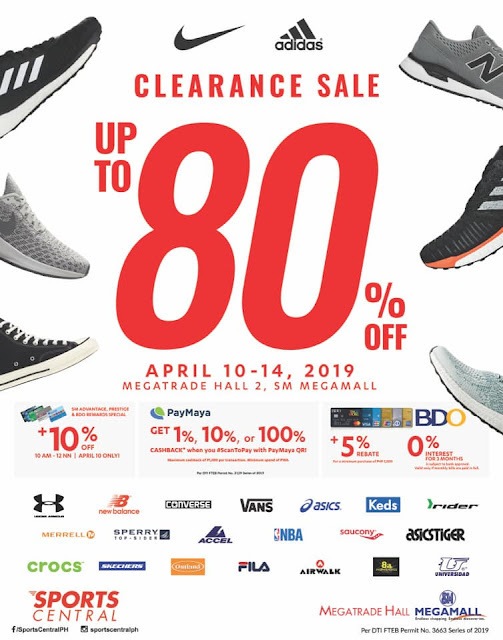 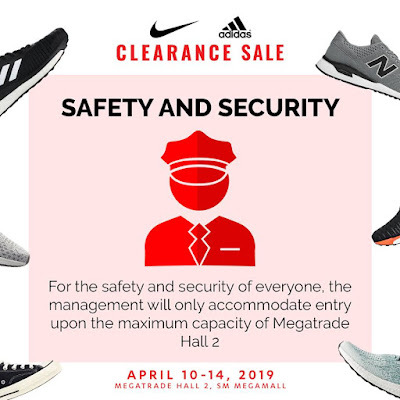 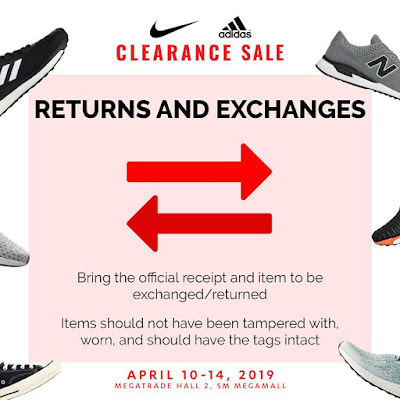 Sports Central's Clearance SALE happens on April 10 to April 14, 2019 at SM Megatrade Hall, SM Megamall. 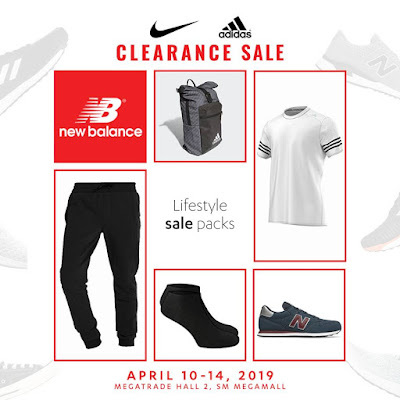 Get up to 80% off on Nike, Adidas, New Balance, and more participating brands! 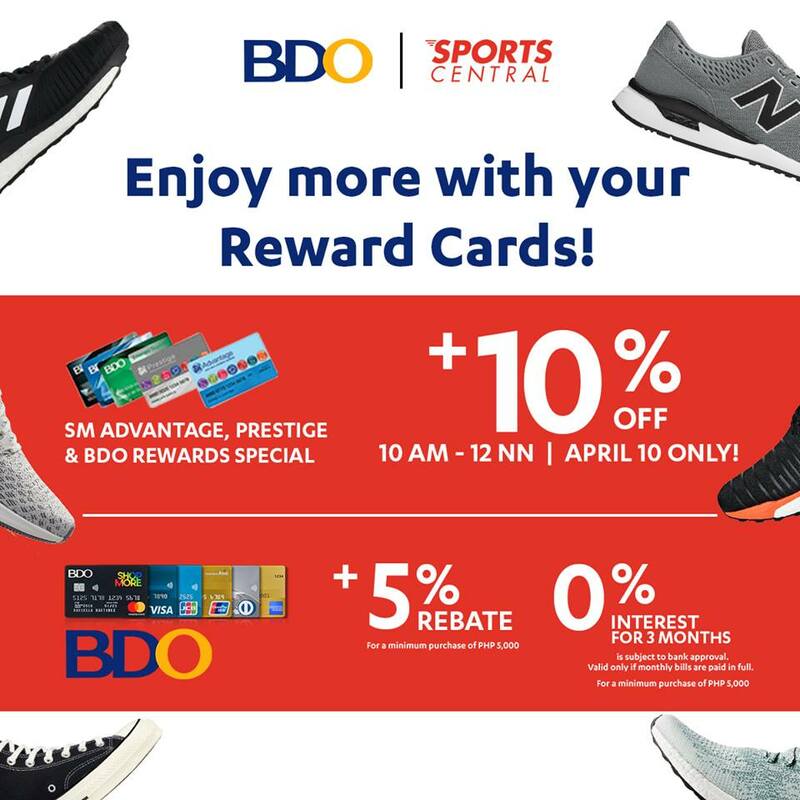 More promos await BDO and SMAC cardholders in this Sports Central Clearance Sale! 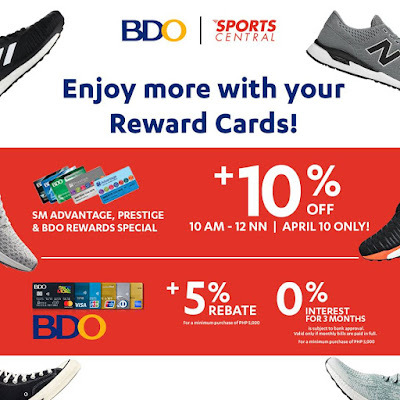 Get an additional 5% rebate when you shop with your BDO Credit Cards at the Clearance Sale! 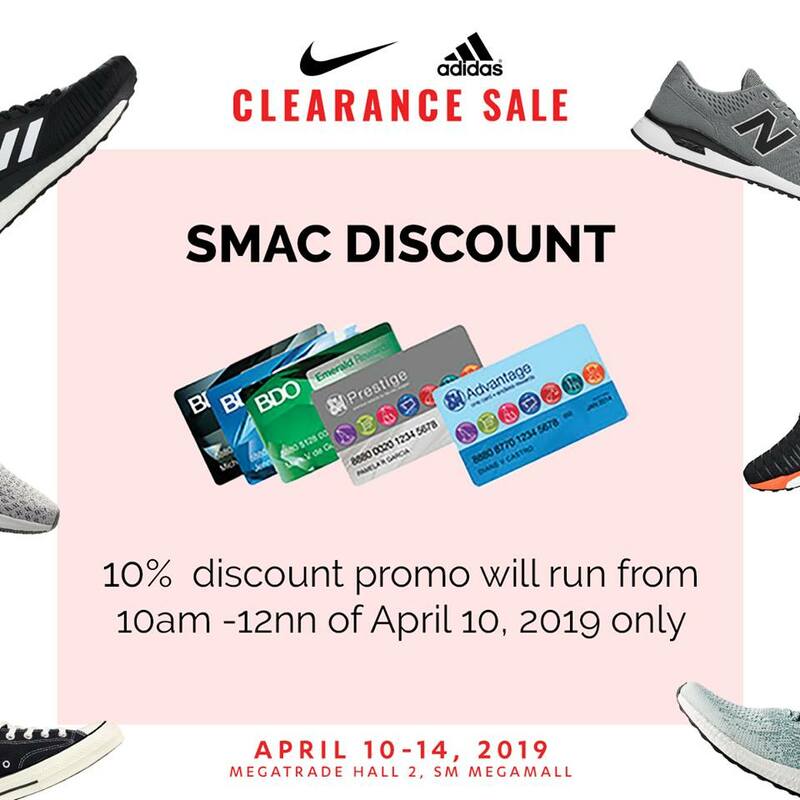 Enjoy an additional 10% off when you use your SMAC, Prestige, and BDO Rewards Special Card on April 10, from 10am-12nn only!